An audit is the verification of the financial statements of an entity, with a view to express an audit opinion. The audit opinion is intended to provide reasonable assurance, but not absolute assurance, that the financial information is presented fairly, in all material respects, and/or give a true and fair view in accordance with the financial reporting framework. The purpose of an audit is providing an objective independent examination of the financial information, which increases the value and credibility of the financial information produced by management. This increases user confidence in the financial information, reduce investor risk. An audit is not designed to provide absolute assurance, being based on sampling and not the testing of all transactions and balances; rather it is designed to reduce the risk of a material financial statement misstatement whether caused by fraud or error. Although a review is less extensive than an audit, review procedures do provide a basis for expressing limited assurance that the accountant did not become aware of any material changes that should be made to the financial statements. Essentially, a review is designed to enable an accountant, without applying comprehensive audit procedures, to assess management’s representations and to consider whether the financial information appears to be in conformity with the appropriate financial reporting framework. The objective of a review differs significantly from the objective of an audit. An audit is to provide a reasonable basis for expressing an opinion regarding the financial statements taken as a whole. A review does not provide a basis for the expression of such an opinion because a review does not contemplate obtaining an understanding of the internal control structure or assessing control risk; tests of accounting records and of responses to inquiries by obtaining corroborating evidential matter through inspection, observation or confirmation and certain other procedures ordinarily performed during an audit. A review may bring to the accountant’s attention significant matters affecting the financial statements, but it does not provide assurance that the account will become aware of all significant matters that could be disclosed in an audit. The scope of a compilation does not give the accountant a basis to express any assurance, since neither audit nor review procedures are performed. Instead, relying on familiarity with industry accounting practices and with the company’s business, the accountant helps prepare financial statements using data provided by the company. This allows the accountant the opportunity to consider whether the financial statements are appropriate in form and are free from obvious material errors; however, the accountant does not probe beneath the surface unless it is apparent that the data provided are incomplete or in error. The accountant’s report that accompanies compiled financial statements indicates that a compilation service was performed, but, because neither an audit nor a review was performed, it expresses no assurance. A compilation is the CPA merely putting information supplied by the client into proper financial statement form without expressing any assurances and the required procedures are minimal. Professional consultants providing architectural, engineering, surveying and other services and are pre qualified or wish to become pre qualified with the Florida Department of Transportation for contracts over $250,000 you are required to include an audit report as part of your re-certification or qualification package. The audit report is to be prepared by an independent certified public accountant and must be received by the FDOT within six months of the end of the fiscal year it addresses and will include a Statement of Direct Labor, Fringe Benefits and Overhead and will report reimbursement rates for direct and indirect costs as well as the facilities capital cost of money (FCCM). Certification that our audit was an independent assessment conducted in accordance with generally accepted auditing standards and the financial audit standards contained in the Government Auditing Standards (“Yellow Book”). Verification that the audit of the Statement of Direct Labor, Fringe Benefits and Overhead required us to assess the financial compliance requirements and accounting practices prescribed by Part 31 of the Federal Acquisition Regulations (FARs) and certain other federal and state regulations. Documentation and testing of your company’s internal control over financial reporting – per the American Association of State Highway and Transportation Official (AASHTO) Uniform Audit Guide. Review of any audit findings with management and any related recommendations. Internal audit is a function that, although operating independently from other departments and reports directly to the audit committee, resides within an organization. The internal audit function is responsible for performing audits (both financial and non-financial) within a wide range of areas within an entity, as directed by the annual audit plan. Internal auditors look at key risks facing the business and what is being done to manage those risks effectively, to help the organization achieve its objectives. External audit is an independent body which resides outside of the organization which it is auditing. They are focused on the financial accounts or risks associated with finance and are appointed by the organizations governing board. The main responsibility of external audit is to perform the annual audit of the financial information, providing an opinion on whether they are a true and fair reflection of the organization’s financial position. As part of this, external auditors often examine and evaluate internal controls put in place to manage the risks which could affect the financial accounts, to determine if they are working as intended. Internal auditors also provide reasonable assurance that risks are appropriately mitigated. However, an internal auditor’s scope extends beyond financial statements. The scope may include an organizations operations, information technology, strategic initiatives, fraud investigations, process and control optimization and compliance. So, what is the difference between internal auditors and external auditors? Purpose is the primary differentiating factor (i.e. financial statements vs operations, technology, etc). Both are assurance providers and can leverage experiences to better benefit clients. The benefit of utilizing a consulting CFO is financial services that are a fraction of the cost of a full time controller or chief financial officer. Many clients appreciate the fresh perspective an outside consultant can offer in analyzing the financial information and discussing improvements in operations and accounting procedures. Due to the ever increasing requirements for auditors to remain independent in appearance and fact, the range of services that auditors have historically provided such as conversion of the records from cash to accrual, proposing significant period end accounting adjustment and financial statement preparation are causing increasing threats to auditor independence. Furthermore, management is responsible to adjust their yearend financial information and records themselves such that the auditor does not find any corrections that are necessary that would be material to the financial information, or the auditor may be required to report these as material weaknesses in internal control. Material weaknesses in internal control may affect the entities credit rating, the ability to issue debt, reduced company value, increased public scrutiny and reduced consideration for grant awards. The effect of these issues is that an organizations auditor can continue to prepare their financial statements as a convenience to the organization so long as they have someone working for management that possess the skills to have prepared the financial statements themselves. 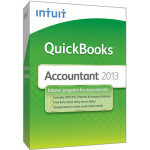 Our staff is very familiar with Intuit QuickBooks and Enterprise Solutions. We can help you set up a bookkeeping system that streamlines your processes and saves time and money. From set up to training to recurring full-charge bookkeeping, we tailor our service to meet your specific business needs. Setup all existing balances including accounts receivable, accounts payable and cash balances. Personalized training in the use of the software to meet their accounting and management needs. Provide monthly, quarterly, or annual compiled financial statements with or without note disclosures.